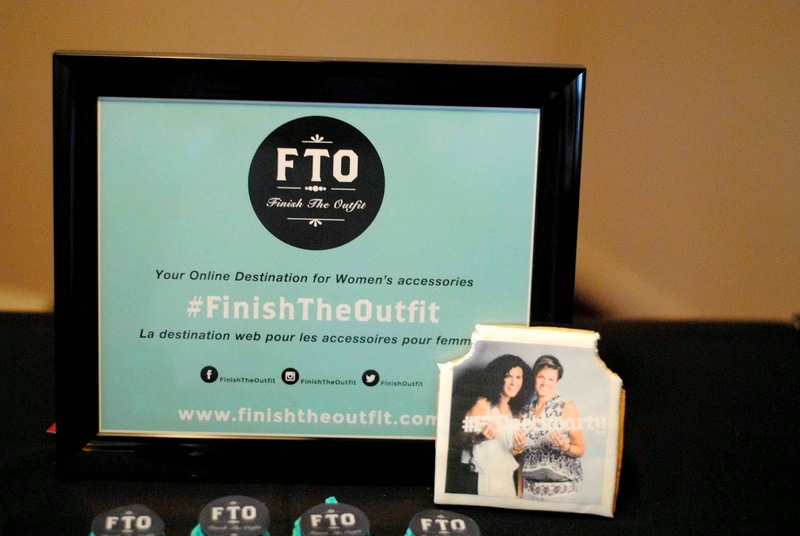 This week, Jackie and I attended the launch event for Finish the Outfit: a new online accessories shop created by Naomi Mechaly. 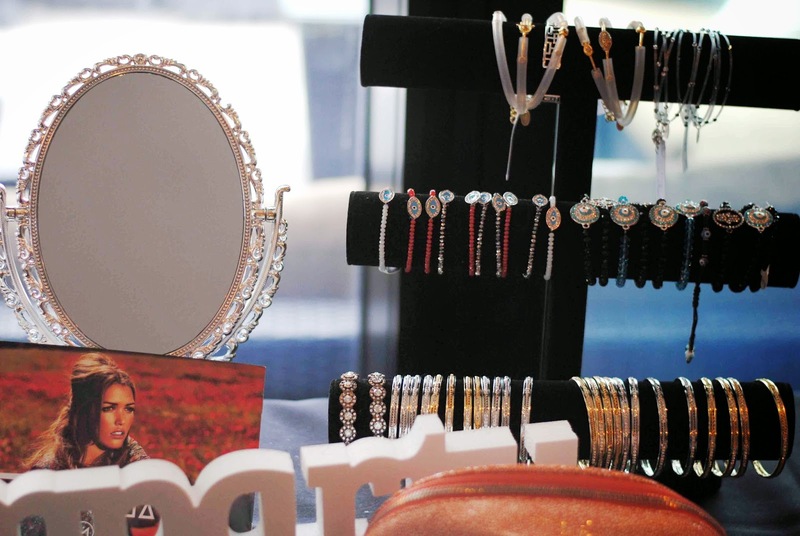 The brand consists of necklaces, bracelets, earrings and rings by a variety of designers as well as handbags, scarves and interestingly enough, funky workout leggings which are really fun also. 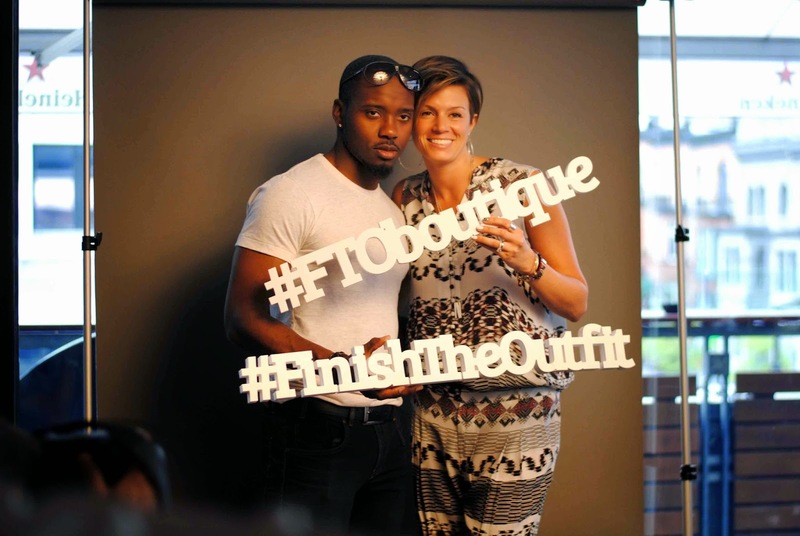 This event was so much fun! First of all, the venue "Le Balcon" was gorgeous, a classy rooftop terrasse with couches to lounge on and a full bar as well as a pretty water fountain. We also enjoyed browsing the table of accessories and then getting our photo taken with a few of our favourite pieces from the collection. As a little surprise, our photo was then printed on to a cookie. Yes, I said a cookie! Lastly, there was a nail bar where you could get a quick manicure, who could say no to that that! Jackie and I both treated ourselves to some bubblegum pink nails!